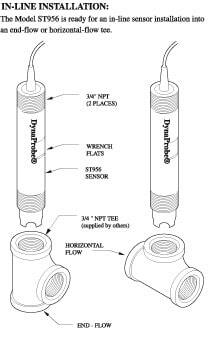 The ST956 is a rugged, sealed sensor assembly designed for in-line or submersion applications. 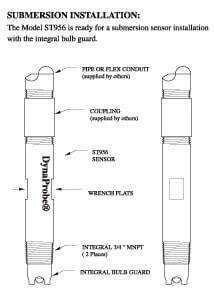 The patented solid state reference cell features the unique IonTrap® design for extended service life in the most severe applications. 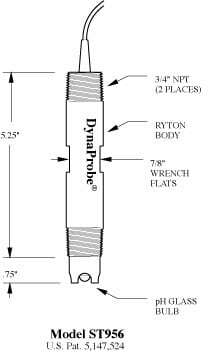 The body, with an integral 3/4″ MNPT insertion thread, is moulded from chemically resistant Ryton (PPS) and the reference junction is porous Teflon. 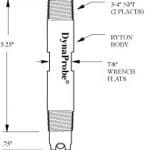 Built-in temperature compensators are available. Features include built-in sensor guard that protects the sensor tip from impact. 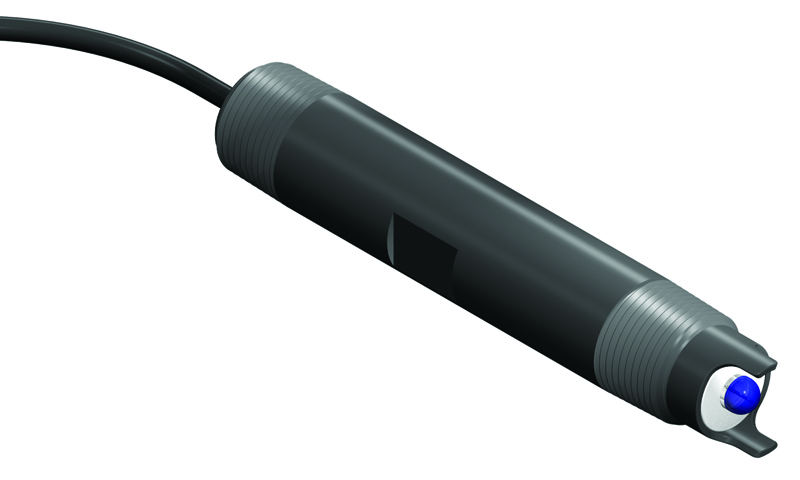 Sensor also available in Redox (ORP) version. [N] Jacketed LowNoise Coax w/ leads for Solution Ground & T.C.